Museum visits aren’t always ideal. And sometimes you have one day in the Louvre, or a few hours at Orsay, or you stumble into an unknown collection just before closing. There are a few different ways people choose to cope with this: ignoring, highlighting, sprinting, or combining. The Louvre is a perfect example, because, unless you are in Paris for quite a long while, no one has time to enjoy the collection in the “ideal” manner. One of my friends chose to ignore most of the art and focus on only a few pieces that tugged at his heart. One could say that he doesn’t know much about art, and he didn’t know the artist or title, but he found one piece and let it completely capture his emotions. He was several days in Paris, and returned to the painting to sit and to weep. By ignoring most of the works, you can know one or two pieces, but at the price of missing out on billions of dollars worth of incredible art, that waits, literally, just around the corner. Most tourists choose the highlight method. They grab a map, draw a little trail, and rush to the big names. They see Psyche and Cupid, Mona Lisa, the Nike of Samothrace, Gabrielle d’Estrées and Her Sister, Venus de Milo, and not much else. They are expectorated from the museum doors and head to the next attraction. To be completely unfair, these are the people who tour the salt mines immediately following Auschwitz. Another option is to sprint through the museum and try to see everything, while really seeing nothing. While much ground is covered, even the tourists who just see the big names have a tiny chance at actually seeing. This one also has the potential to make docents quite nervous. The fourth method is about as ideal as you can get in an un-ideal situation. The combination method. Map in hand, plan which areas of the museum are most important to you. 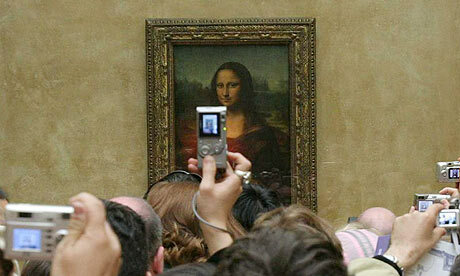 Of course you should see the Mona Lisa, but with elbows jabbing into your ribcage and a bouffant somewhat obscuring your view, this is not the place to linger. While you will race through some areas, leave time to wander through others and settle in front a few pieces to really enjoy them for a few minutes. If at all possible, know what the museum has in its collection beforehand. Jan Fabre, I Let Myself Drain, 2006 – if only we could actually get this up close and personal in museums! With online museum catalogs and virtual tours, it’s common to see more details in a painting when you aren’t physically in front of it. For this reason, be aware of the things you can’t get from prints, books or digital sources. Be overwhelmed by the size of a Rubens and surprised by the largeness of a Dali. Notice the intricate detail in a tiny portrait. Move around paintings to catch the light playing on the texture. Know that you have seen the true colors. Think of the physical hands that have touched these painting, the monarchs, merchants, or heiresses who may have owned them, and what it took for this painting to survive wars. Look at the vast collection of frames, something you rarely see without being physically in front of a painting. If the work has been around for more than a few years, these could be ornately hand carved, covered with gold leaf, or hundreds of years old. Use the time you have to enjoy art museums as thoroughly as possible. With a little strategy and a conscious effort to look, you will leave without massive regrets of what you didn’t have time to see. 11 Jul	This entry was published on July 11, 2012 at 1:10 pm. It’s filed under Art, Art History, Contemporary Art, Museums and tagged Dali, frames, Gabrielle d’Estrées and Her Sister, how to see museums, I Let Myself Drain, Jan Fabre, know a painting, Louvre, museum map, museums, Nike of Samothrace, Orsay, Psyche and Cupid, Rubens, seeing, tourism, Venus de Milo. Bookmark the permalink. Follow any comments here with the RSS feed for this post. Excellent advice! And it’s always better to skip sections that are not as interesting to you so as to focus on your favorite movements or artists. 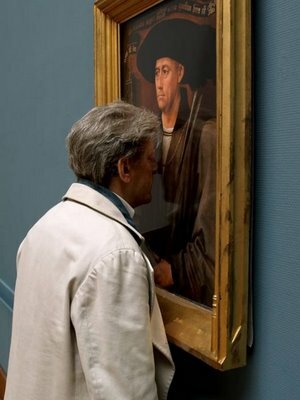 I like the way you differentiated between knowing a painting intimately like a friend, and just recognizing it. It’s an important distinction. Excellent recommendations! Thank you for this post! The Art Pour offers some excellent suggestions for how to make the most of a short afternoon in a large museum. Trying to take it all in can lead to an art hangover. Every time I’ve tried to tackle the Louvre I leave scrambled, defeated but exhilarated. Great post. Thank you! I am glad you enjoyed it. I like your term “art hangover.” I think I have experienced that a few times.